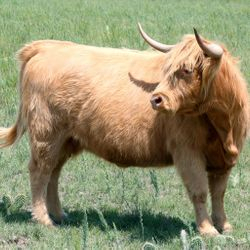 Purebred Highland Cattle are naturally lean and low in cholesterol. Because of their hairy coats, they dont have or need as much back fat as other breeds. 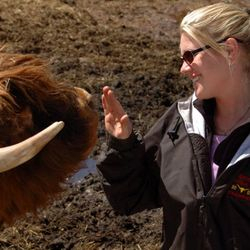 Breeders of Registered Scottish Highland Cattle & All Natural Beef! 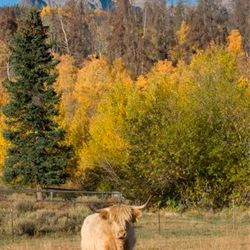 Maryland Creek Ranch Silverthorne, Colorado ..
All Natural Highland Beef is truly a family business - from Frank's family that helps run the ranch to the family around your dinner table.